The last few weeks I’ve been spending a lot of time in my vegetable garden. The great annual tidal wave of soft fruit is there to be picked, tomatoes, courgettes, cucumbers and salads are all there in abundance. The field beans (rather like broad beans, but even hardier) are mainly harvested by now: some we’ve eaten as a cooked vegetable in all manner of dishes, a favourite being lightly cooked and marinated in a dressing and served like an Italian antipasto, also we’ve frozen lots for the winter. I’m sure my urban garden is now producing more food than my old smallholding ever did, despite being a tiny fraction of the size. One of the great joys this year has been the abundance of wildlife. The thrushes nesting in the neighbours’ sycamore tree have raised at least one brood of chicks. Hearing them crack open snails on the concrete path one realises the importance of helpful predators, and we’ve plenty of frogs and toads eating the slugs and ladybirds and spiders to eat the aphids. Sparrows and blackbirds seem to be breeding better than ever and from time to time a sparrowhawk comes to pick off the odd one. In winter sometimes we hear a tawny owl. All pretty good for a city centre garden! I hear goshawks are now nesting in Berlin. I’d love them to come over here. Pigeons ate a lot of my young pea and climbing bean plants this year, and pecked a lot of holes in the chard, so having some local goshawks to cull the pigeons would certainly help my vegetable production! 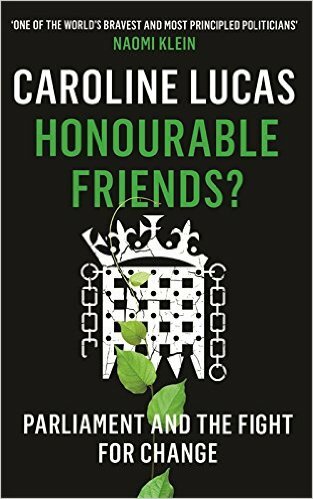 Last winter I read George Monbiot’s book ‘Feral’. A fascinating read about re-wilding the British countryside. Current farming practices have denuded much of our rural biodiversity, and in many instances our urban landscapes are better for wildlife. Our garden has lots of species of bumble bee this year, and in large numbers. 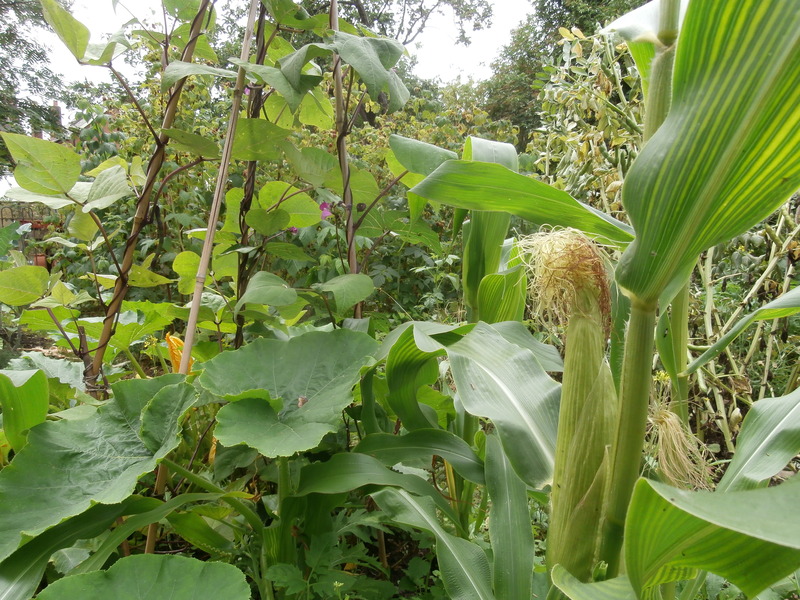 Gardens and allotments have a vital role to play both in terms of food production and in terms of providing a refuge for wildlife, and joy for us humans. This entry was posted in Environmental, Food & Farming on 16 July 2015 by Richard. Tom Randall writing on the Bloomberg Business website states that ‘The shift to renewables is happening shockingly fast, but not fast enough to prevent perilous levels of global warming.’ So while we need to celebrate the achievements of the global renewable energy technologies we need to do something even more profound than merely change the energy that fuels the global economy: we need a shift in values. We need a much stronger push for peace and cooperation, a shift from an economic system based on individual greed to one based on meeting real human needs and a much greater degree of political engagement and leadership. This shift in values needs to happen globally, but let’s look at one key country: China. 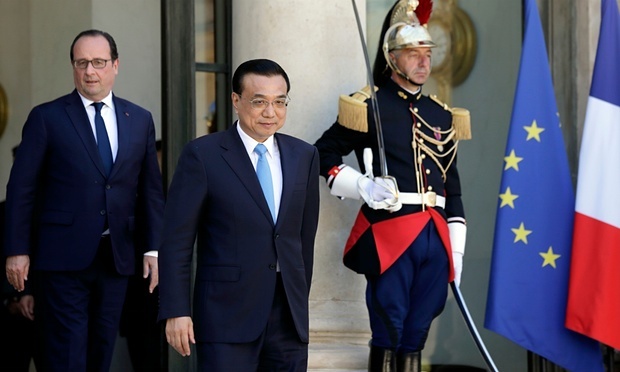 The Chinese Premier Li Keqiang was in Paris earlier this week to unveil Chinese plans for carbon reductions. These plans see emissions peaking around 2030. This is far too late. The next big United Nations Climate Change conference will be taking place in Paris between 30th November and 11th December. What could China do to raise its game? China, like most other countries is investing heavily in renewables, but it needs to do so much more. Currently military tensions are rising in the South China Sea as China builds islands to increase its territorial waters, much to the annoyance of the Philippines, Japan, Vietnam, Taiwan, USA and others. Instead all these countries need to cooperate to jointly develop offshore renewables and natural gas fields as Stewart Taggart of Grenatec suggests. Even more challengingly there will need to be a shift away from headlong pursuit of personal consumption on behalf of the rapidly growing affluent people in China, as in the rest of the World. Statements on peaceful economic cooperation, demilitarisation and on curtailing hyper consumption would be a useful start. Then the challenge would be to deliver! All this of course was what the Papal Encyclical was about. Now it is time for the political leaders of the World to step up to the plate. This entry was posted in Climate Change, Global, Politics on 5 July 2015 by Richard.